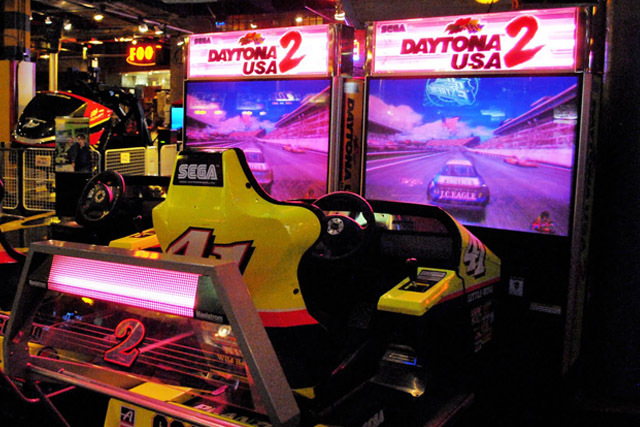 Gameworks was created to bring out the gamer in everyone. It is jam packed full of myriad games, from hip new games like Dance Dance Revolution to classic pastimes like billiards. The premier attraction in Las Vegas, however, is the Las Vegas Rock. The Las Vegas Rock towers to the ceiling of the Las Vegas Gameworks location, tempting people with the promise of adventure. Located right on the Las Vegas strip, it is easy to find as well. After a long day of fun-filled gaming, visitors are sure to have worked up a voracious appetite. Fortunately, the Gameworks Grill is there to satisfy that hunger. Gameworks is, of course, family friendly, right down to its dress code. Visitors to Gamerworks should not wear excessively baggy clothing, clothing that is torn or dirty, or clothing or tattoos that could be considered obscene. Chains are not allowed either. Otherwise, everything else is welcome, and the atmosphere is pleasant for everyone. On the Strip; 3785 Las Vegas Blvd. 4. Ste. 010 Las Vegas NV 89109.